Drivers constantly changing their helmet designs isn’t as common as it was a few years ago thanks to a crackdown by the FIA (which we think is kind of a shame, especially now that they’re less visible than ever). However, they are allowed make one change per season for a special occasion (they’re also allowed to adjust them as long as it remains broadly similar to the base design), so what better opportunity than the 1000th world championship race? Some drivers have already revealed that they’ll be running some special designs to commemorate the occasion. 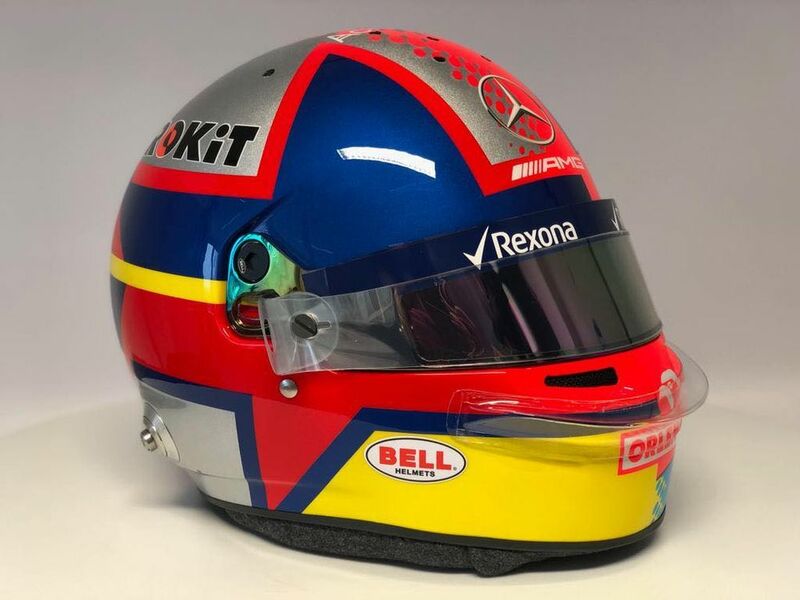 Russell has gone down the route of paying tribute to former Williams driver Juan Pablo Montoya with this awesome half-and-half design - on one side his regular design, on the other is Montoya’s. 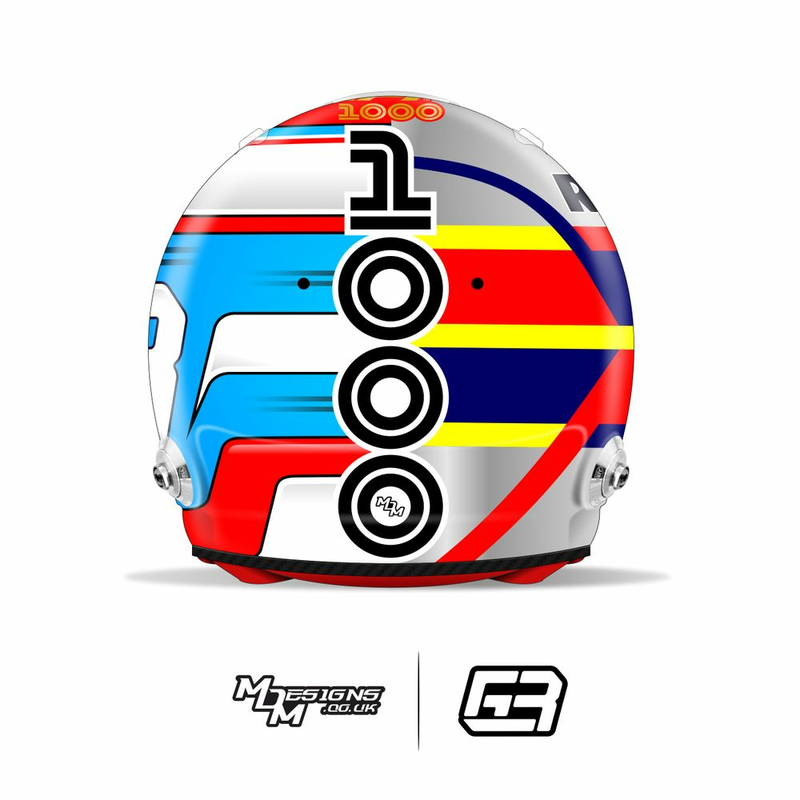 He mentioned on his Instagram that his first helmet design when he started karting was a copy of his brother’s, and that in turn was a copy of Montoya’s, unbeknownst to George. The two Renault boys have gone for utterly superb retro designs by Jens Munser Designs that look like they could have come straight from another era. Hulkenberg’s has a hand-painted look complete with vintage logos that look like they’ve been stuck on with duct tape, a big ‘M’ (the Roman numeral for 1000) and a few bumps and scraped that give the design a well-worn look. It’s probably the best helmet design we’ve seen for ages. 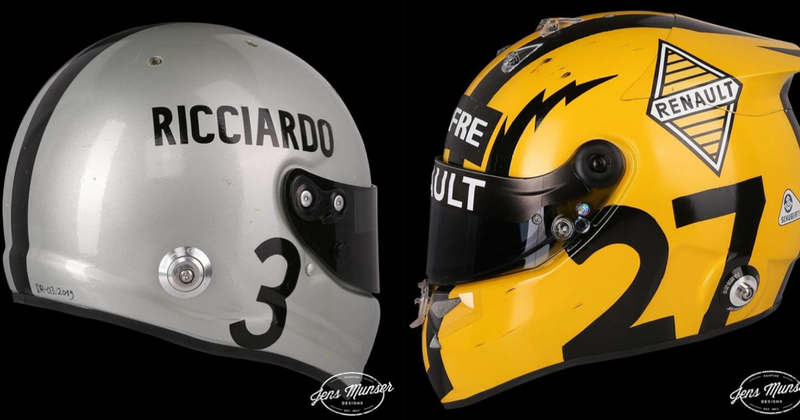 Daniel Ricciardo’s special helmet for Formula 1 race 1000 in China. . A tribute to Sir Jack Brabham, the first Australian GP winner and (three-time) world champion. Still the only driver to win the F1 championship (in 1966) driving one of his own cars. Ricciardo’s is similar in principle - a simple silver design with added stone chips - and is a tribute to the helmet worn by Aussie legend Sir Jack Brabham. Albon has jazzed up his original design a bit and also added a tribute to the only other Thai driver to race in F1 - Birabongse Bhanudej Bhanubandh, better known as Prince Bira. Appropriately, Bira also took part in the very first championship race at Silverstone in 1950, and he features on the top of Albon’s one-off design along with the number 23 surrounded by light blue and yellow - Bira’s racing colours. ….while Grosjean has gone for this clean, white look with plenty of ‘F1 1000’ branding. Also in on the act is Lando Norris with plenty of references to the 1000th race, plus some nice sparkly gold glitter. Finally, we’ve got Sergio Perez - though his design is mostly the same as usual, just with a nod to the 1000th race plonked on the top. Which one is your favourite, and why is it Hulkenberg’s? Let us know in the comments.